We’re enjoying some fantastic spring weather here in St. Louis! I’ve been taking advantage of the lovely temps before it turns into the dreaded humidity filled hot, hot summer. 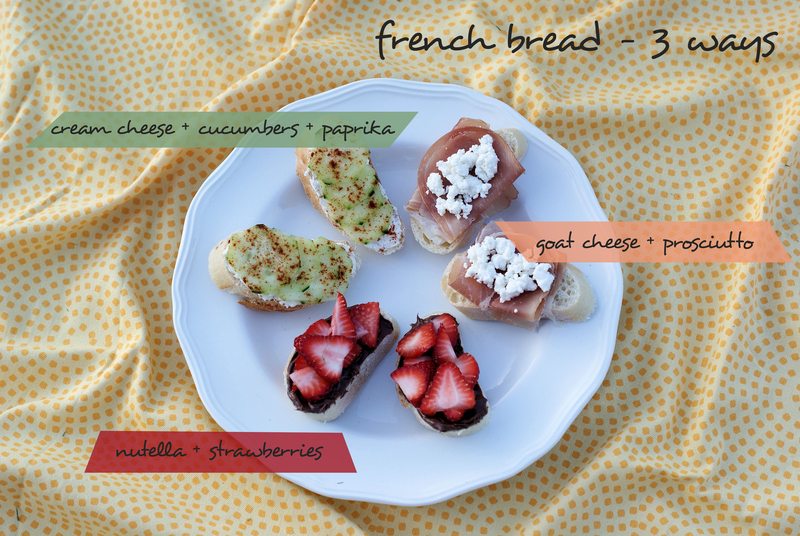 An easy picnic with french bread as the base and a multitude of toppings for every taste. 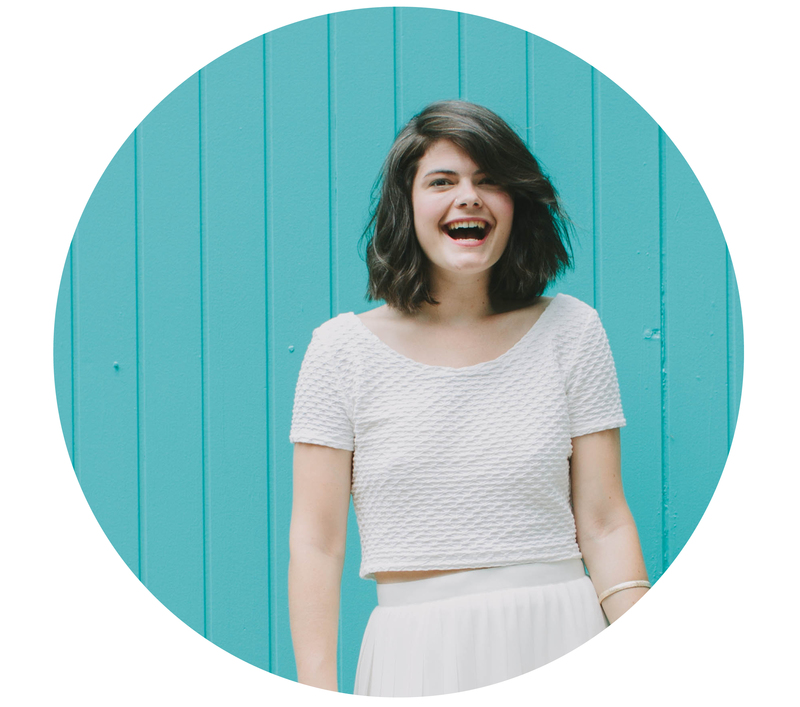 Superbly simple ‘recipes’ for a quickly thrown together day at the park! 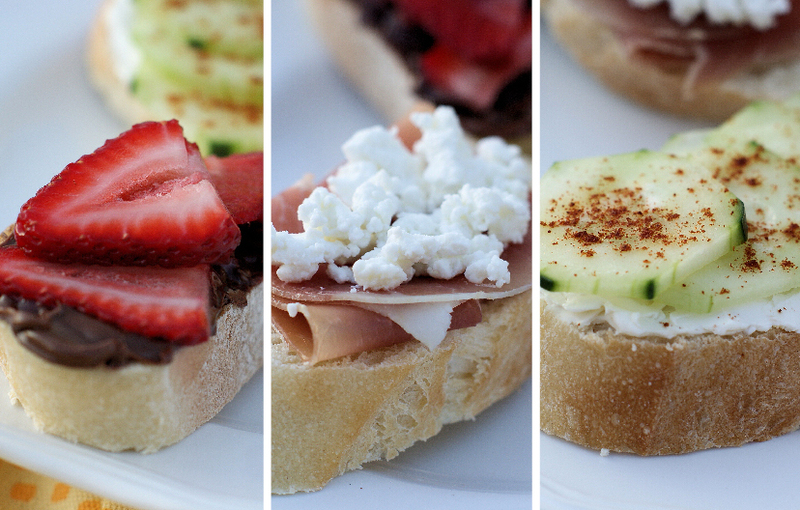 Salty – goat cheese + prosciutto // spicy – cream cheese + cucumbers + paprika // sweet – nutella + strawberries. What are some of your easy go-to picnic essentials? My picnic go to’s are pretty standard: Wine, wine, and wine. I know drinking a chilled white wine might be the most refreshing during a spring picnic, but keeping it chilled can be a bit of a hassle. Once it’s opened, it’s like a race against the clock (which can also be fun sometimes). This is why I usually default to red wine for picnics. not necessariy a picnic thing, but my favorite combo to put on crusty bread is olive oil, dark chocolate and good salt. The bread should be warm so the chocolate melts just a wee bit. OMG. 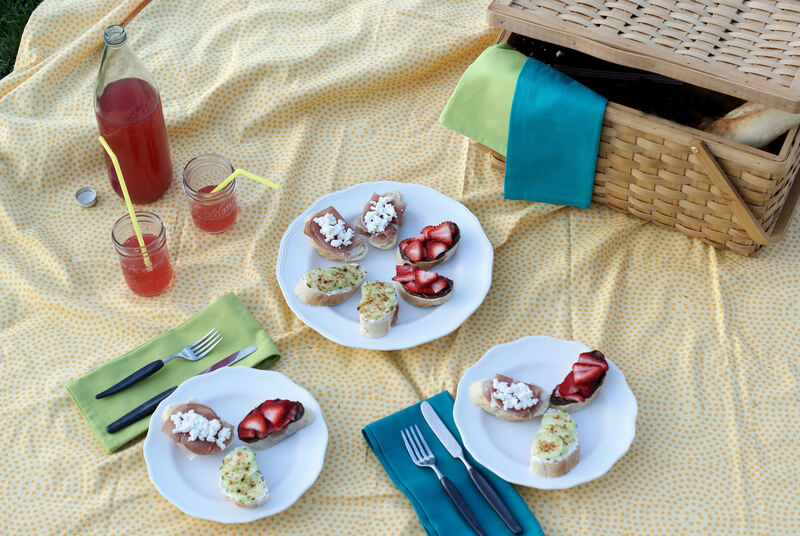 my go-to for outdoor picnics is cream-cheese based spreads… fig/goat cheese/pistachio. salmon/caper/red onion, bacon/garlic/pepperoncini are my three favorites. That looks delicious. And I think that Spring is Missouri is always beautiful.